We take around a week to send you across all the drawings by courier. 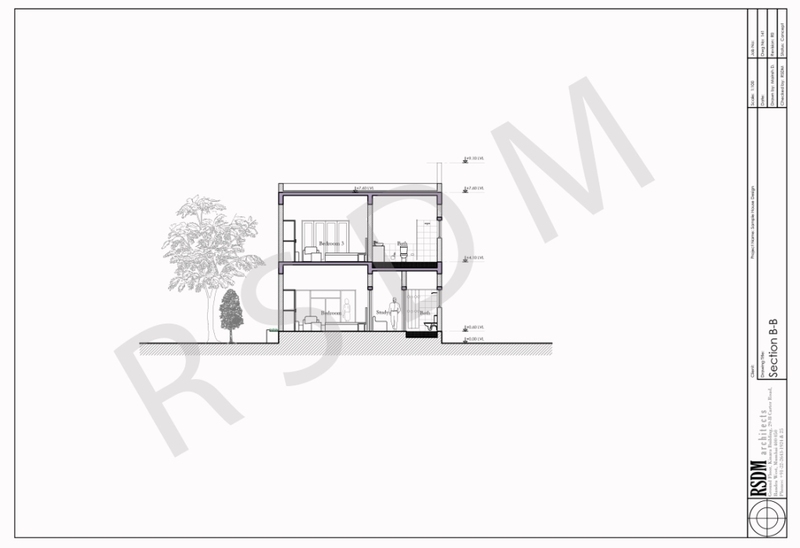 Additional copy of drawings can be ordered in a CD (in PDF Format) for an additional amount. Drawings are released only after the receipt of payment. So what are you waiting for. Do check the Collection Now! This is a summary of all the area (built up area) consumed by each space within the house. 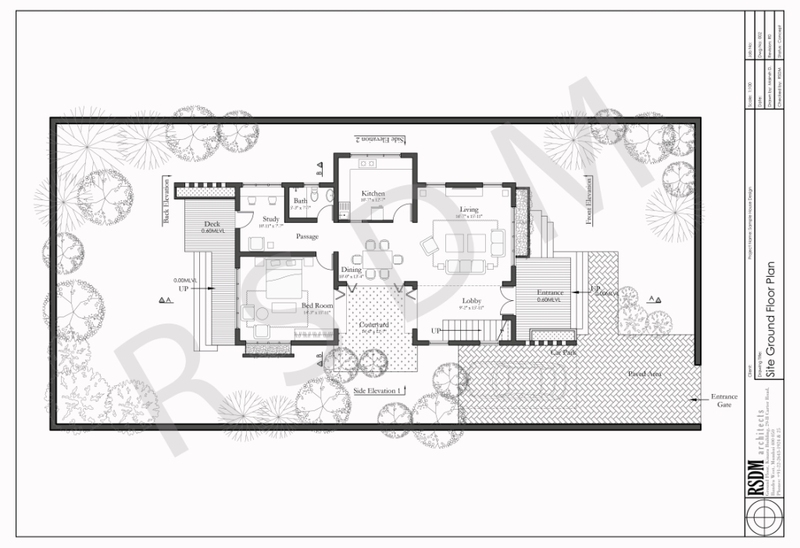 This is a top view layout of the plot along with the house design. 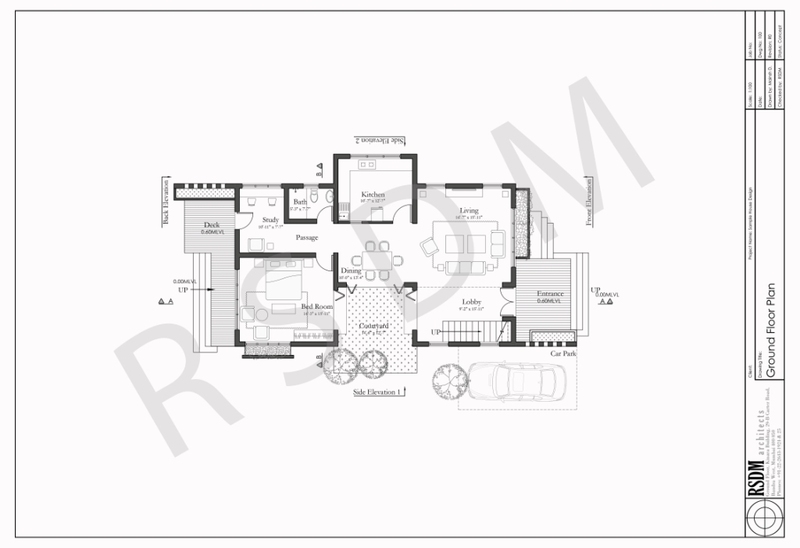 This drawing helps to understand the location of the building from the compound wall along with the necessary setbacks which needs to be left as per the local building by-laws of the place in India. 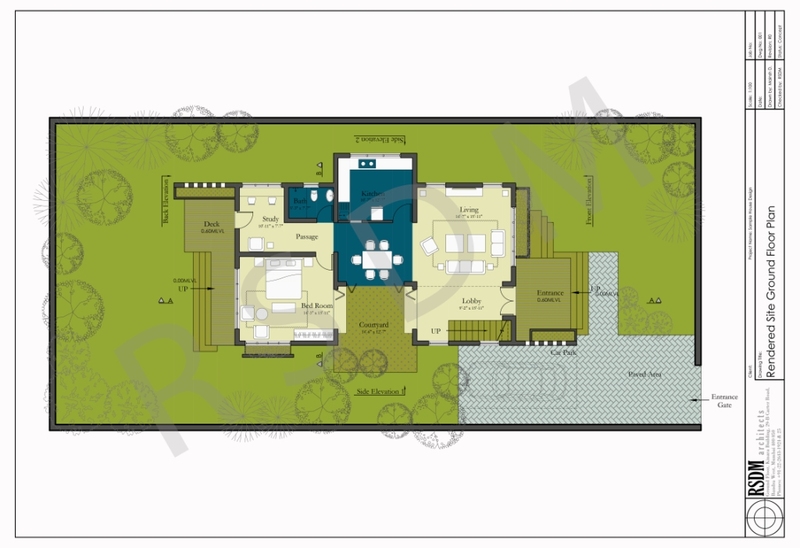 This is same as Rendered Site Plan and is much better for using it to explain the design to the short-listed contractor. 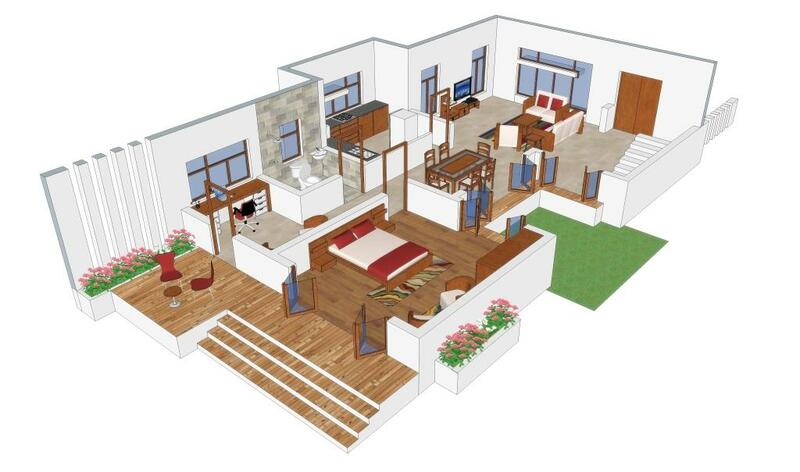 This is a top view layout drawing to be read along with walls, doors, windows to get an overall idea about the allotment and placement of spaces within the house. Read this carefully and try to visualise the spaces and there proximity to each other. 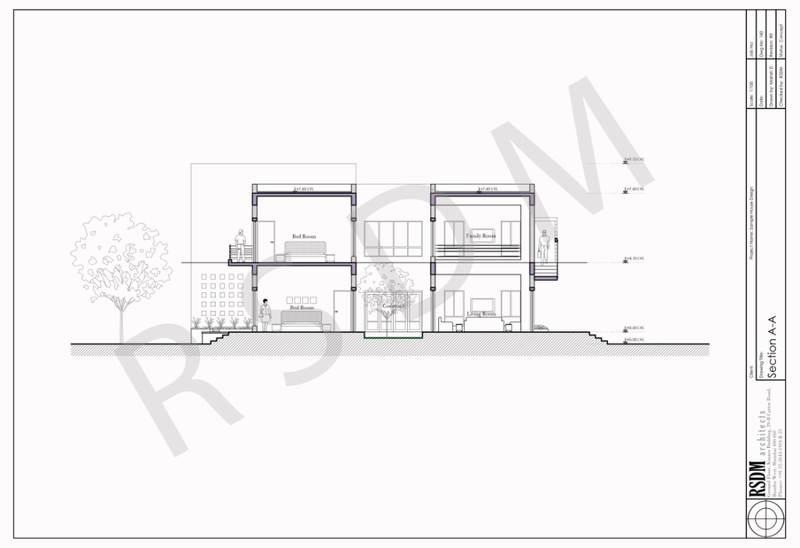 A cross section through the house is a spliced view of your ground floor / ground +1 floor house on the lateral side to provide a better understanding about the overall height of the structure along with the breakups within each floor. 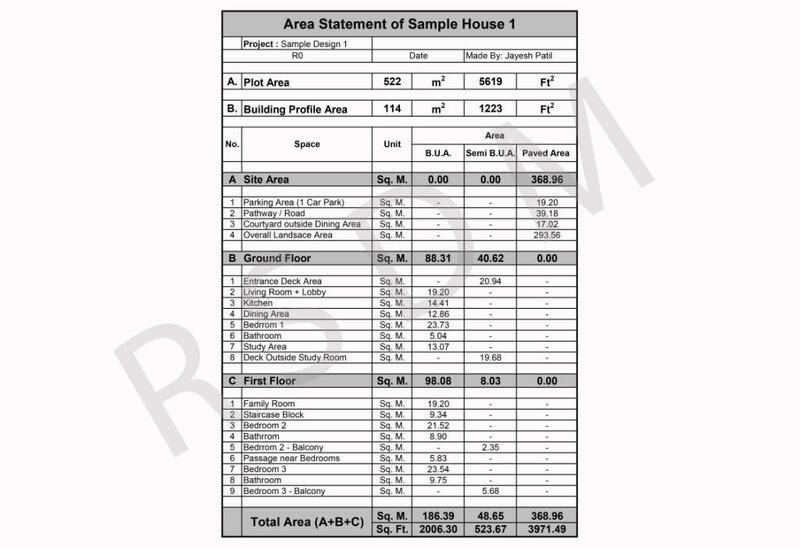 It gives a clear indication about the height for each floor, sill height, window height, lintel height etc. If you have any further query and requirement then feel free to get in touch with us at homeplansind@gmail.com and we will be glad to assist you. You can also fill contact us sheet below with your query.